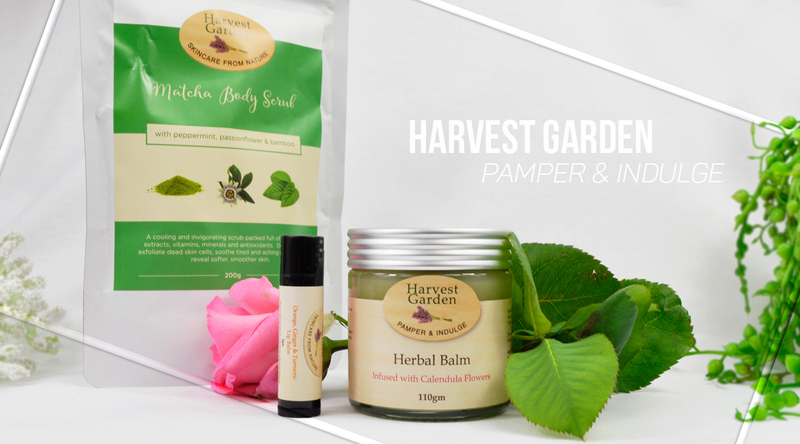 Today we’re talking about Harvest Garden, one of Australia’s best-loved skincare brands. Most recently, I was kindly sent a lovely pamper pack which included their Matcha Body Scrub, Herbal Balm, and Orange, Ginger & Turmeric Lip Balm. The two balms have become handbag essentials and it’s safe to say the Matcha Body Scrub has my 100% seal of approval. Harvest Garden believe when choosing any natural skincare product, it is important to read the label and understand the ingredients. What you put ON your body is just as important as what you put IN it. Their products are formulated with the best natural ingredients, containing no nasty additives, which may harm you or the environment. This herbal balm contains soothing and hydrating properties that feel wonderful on irritated skin. It is infused with Calendula Flower which is highly favoured for its skin healing properties. Excellent for sensitive skin, this balm helps to heal, protect and feels intensely nourishing. Suitable to use on the face, hands and the body where needed. I have a great appreciation for herbal blends so when I saw the Orange, Ginger & Turmeric lip balm I was over the moon. The application is smooth and not tacky with a faint scent reminiscent of turmeric latte. It keeps my lips looking fresh, moisturized and protected. Also containing great emollients with sweet almond oil, Macadamia Nut Oil, Organic Shea Butter, Beeswax and Vitamin E.
Peppermint & Matcha – Contains peppermint for its cooling sensation and match green tea for its antioxidant benefits. Pink Grapefruit & Passionflower – Contains pink grapefruit for its uplifting citrus scent, passionflower extract for its antioxidant benefits and pink clay for a hint of colour. Tinted Rose & Pomegranate – Contains rose geranium for its sweet floral aroma, pomegranate extract for its antioxidant benefits and red clay for a deep red tint. Say goodbye to dry skin, and hello to beautiful softness. This all-natural body scrub is packed full of invigorating ingredients to slough off dead skin, leaving it soft and supple. This wonderful blend soothes tired and aching muscles and promotes skin elasticity. Have you tried any Harvest Garden skincare products? 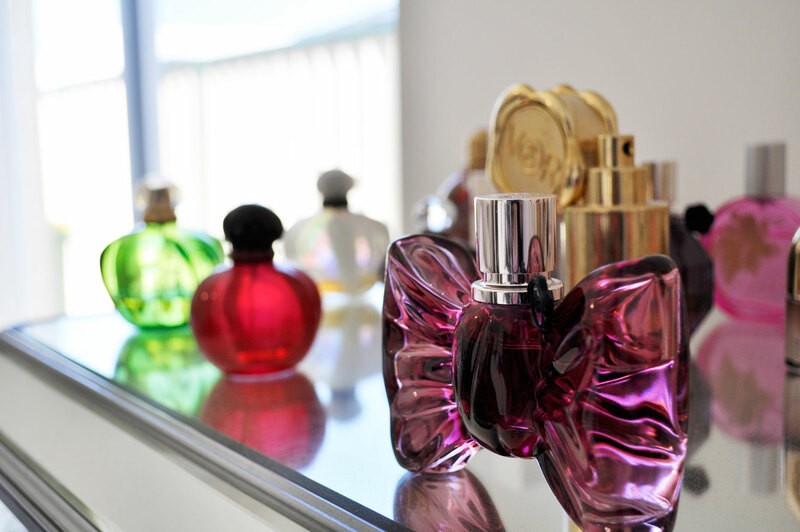 What do you like to use to pamper yourself with? You can click here to purchase these products and more online. I think the lip balm sounds fantastic. It is so good 🙂 I want to try the Peppermint & Matcha next. I love that the balm can be used all over the body, head to toe. This lip balm is fantastic, I love anything which resembles golden milk so this is right up my alley. You do too 🙂 Thank you so much! Orange, Ginger and Turmeric for a lip balms sounds very interesting! Does it tingle? I love Harvest Garden products! I really enjoy using my Coffee Body Scrub so I’d love to give that Matcha and Peppermint one a go. How refreshing!